Our current food system is broken, and it didn’t happen by accident. Decades of bad food policy designed to benefit agribusinesses and mega-farms, combined with unchecked corporate mergers, have wreaked havoc on family farmers, public health and rural communities. 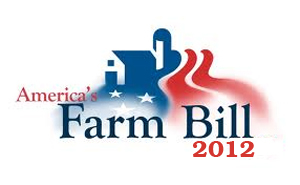 The Farm Bill is up for reauthorization in 2012, and if we can implement certain changes, we can create a healthy food system for everyone. Better choices: Breaking up the agribusiness monopolies will bring a more vibrant marketplace. Stable prices: Restoring common-sense practices like agricultural reserves can prevent speculation from driving up food prices. Increased access to healthy food: More families will have easy access to healthy foods they can afford. Stronger local infrastructure: Reversing the consolidation in the food system would allow for more local businesses. A level playing field: A fair marketplace for small farmers cannot exist without breaking up the agribusiness monopolies. Fair markets: Farm pricing and contract policies can ensure that all producers receive enough from their sales or services to provide a fair return. Environmental stewardship: Conservation programs can improve biodiversity, minimize pollution, and conserve essential resources. Sustainable farming: Independent farmers will receive support to help them shift to more diversified operations.